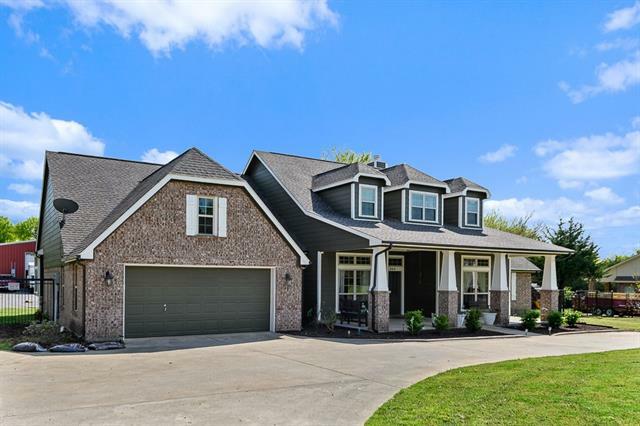 All Anna homes currently listed for sale in Anna as of 04/21/2019 are shown below. You can change the search criteria at any time by pressing the 'Change Search' button below. If you have any questions or you would like more information about any Anna homes for sale or other Anna real estate, please contact us and one of our knowledgeable Anna REALTORS® would be pleased to assist you. 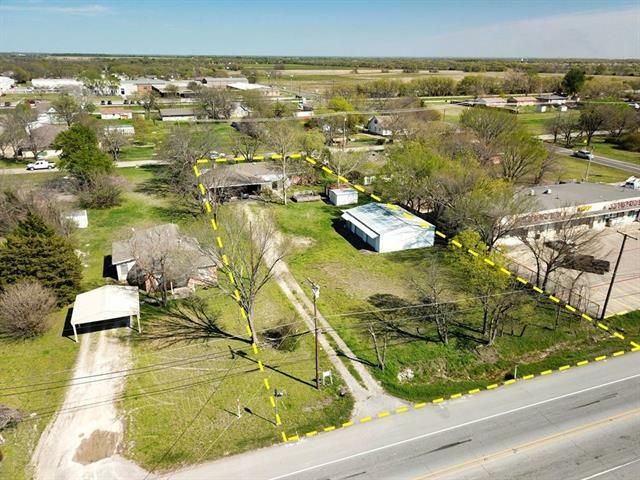 "NEXT DOOR TO THE OUTER LOOP ON US75.....THIS PROPERTY IS APPROXIMATELY A QUARTER MILE HIGHWAY FRONTAGE, a new outer loop being built with 500 ft of Right of Way, that will connect Denton to Rockwall. 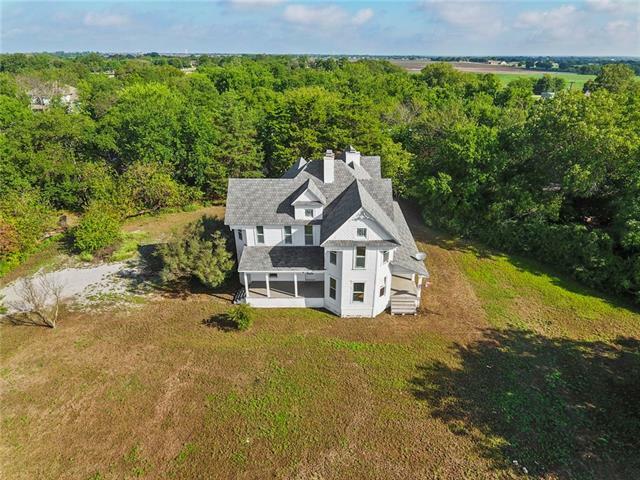 Property includes a 4 Bedroom, 2 and one half Bath Home, 12 X 12 sq ft Well House, 1,900 sq ft Metal Building, and a 50 X 60 sq ft Barn. Super Walmart only 2 miles down the street. NEW LARGE WATER LINE HAS NOW BEEN INSTALLED! 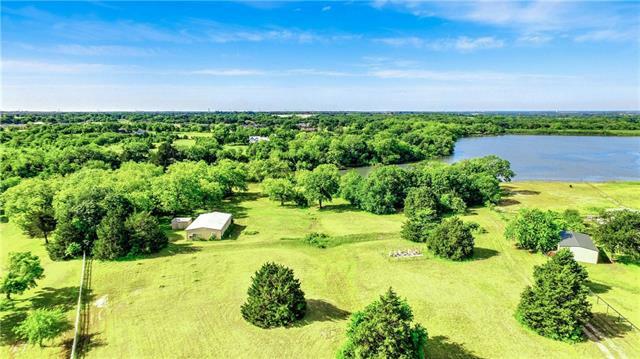 A 20 ACRE COLLIN COUNTY SOIL CONSERVATION LAKE IS LOCATED IN REAR OF PRO"
"As you enter through an automatic gate, you are greeted with a view of the one acre pond and tree covered rolling terrain. Drive up the hill to a remodeled 2,995 sq.ft., 4 bed, 3 bath ranch house. Stone exterior and 1,000 sq.ft of covered porch gives way to a spacious entry with high ceilings. Wood and tile flooring, granite counter-tops, and premium finishes throughout. 534 sq.ft. two car garage. Two barns built in 2008 - 1,536 sq.ft. and 864 sq.ft, water, and concrete flooring. The perimeter "
"New custom built home by Ryan Hartman, Inc. 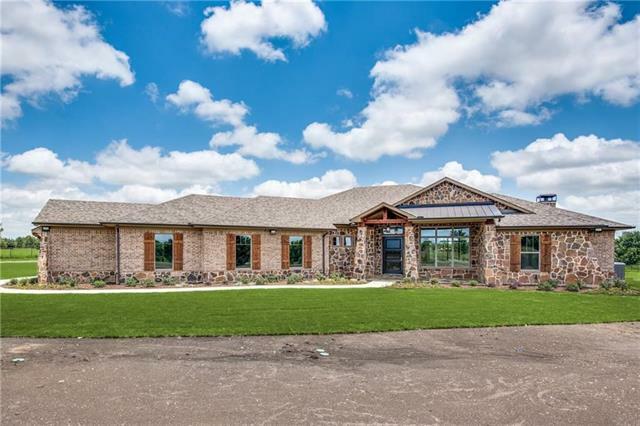 Surrounded by pipe fencing, this beautiful building site boasts a handsome two-story barn & tree-lined drive, plus lies nestled within a horse-friendly restricted neighborhood comprised primarily of homes on 22+ acres. Cover back porch with fireplace and outdoor kitchen. Property currently carries an agricultural exemption. Imported stone from Montecristo, India, 50yr warranty roof. 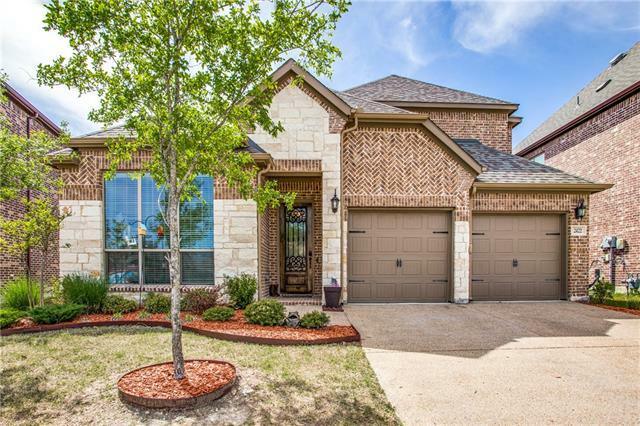 Area complemented by award-winning Anna ISD, enjoys easy access to HWY"
"Build your dream home on this gorgeous property in a gated community! This property features efficiency apartment, orchard, lakefront view with your own personal dock and boat ramp, honey bees and priceless views! 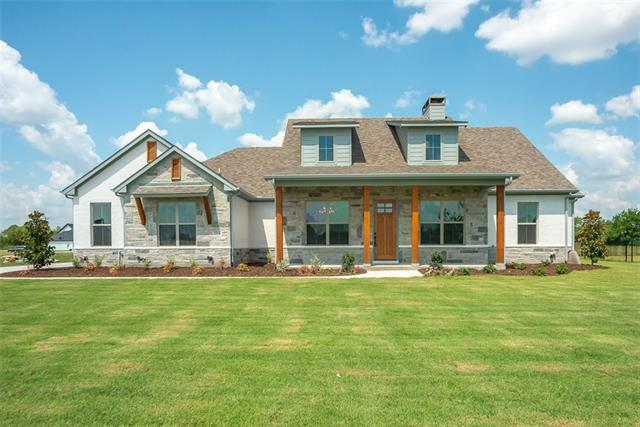 This exclusive community gives you the peace of country living with the convenient proximity to Mckinney, Sherman and only 50 miles from Dallas. Bring your builder and plan your days for fishing, kayaking ans enjoying nature! Entertaining would be a dream with the lake view as a ba"
"Wow! 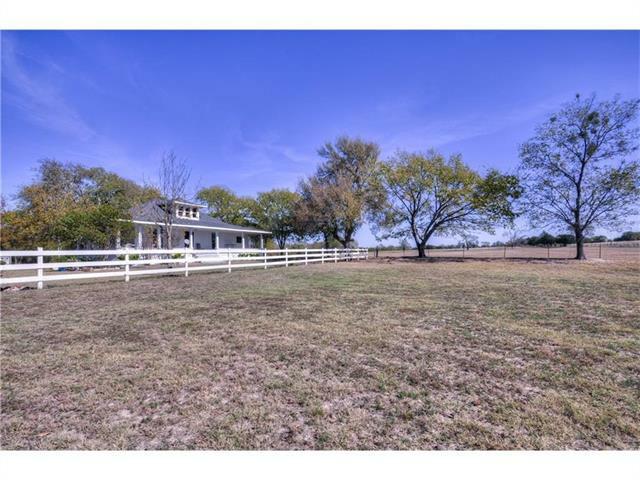 Beautiful 10-acre gated country property located in the highly desired Wild Rose Farms subdivision. Rare 5 bedroom 5 bath property with two master suites located on the first floor. Open concept kitchen with newly painted cabinets and a double oven perfect for large family gatherings. Bathrooms beautifully renovated with high-end finishes and timeless design. Horse lovers take note of the 4 stall barn and additional workshop building. Lovely creek runs along back of property. Fabulous op"
"Location! Location! Grab up this a one of a kind find! 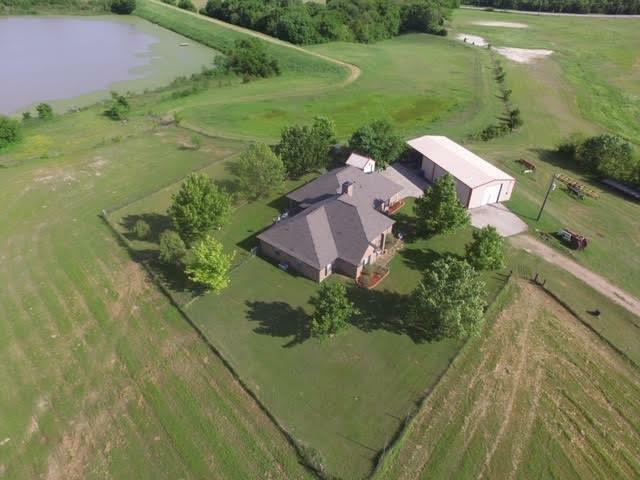 Room for everything you have ever dreamed of doing on this 28.1 acres. 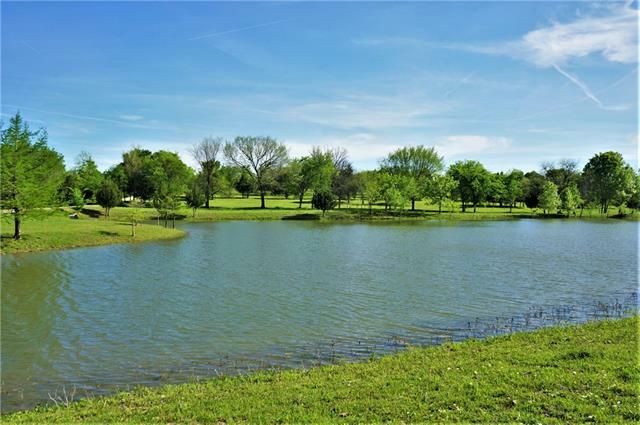 with 2 large ponds, entry gate, and rolling pastures, in popular, growing Anna! Bring the horses, and the cows and chickens! The kids will love the basketball court, and room to run. This Craftman home with its beautiful porch, could use some updating and design to enhance its timeless beauty. The value here is the land and location. Great home, or great i"
"A One of A Kind Property. You have a beautiful 4,363 square foot one story home nestled in this 10 acre property right in front of a creek and large greenbelt. Features and updates in the home include granite countertops in the kitchen, SS appliances, wood floors in the family room and study, c-tiles in the kitchen, breakfast area, and all wet areas, ceiling fans in all bedrooms, radiant barrier, large solar panels, new interior paint, 3 car garage, huge deck, lots of storage and more. Some of t"
"PROPERTY FRONTS ON HWY 5 ALSO KNOWN AS N POWELL PARKWAY, NEXT DOOR TO COYOTE DEN AND COYOTE LIQUOR. Across the highway from Texas Star Bank, busiest corner in town.. Currently residential but will go COMMERCIAL due to growth in CITY OF ANNA. New ANNA CITY HALL will be half block north when built, great location with growth all around. Don't let this one get away! Home could be rented out but needs work, value is in the land. Large shop on property could possibly be used for business. Great inv"
"Builder personal home with all of the bells and whistles. 4 bedrooms, living room and open formal dining room. Living room over looks a large screened room with a fireplace, beautiful in ground pool and spa and an outdoor kitchen with a gas grill, refrigerator and smoker. Wooded one plus acre creek lot offers complete privacy. Stunning kitchen with slate counters and island with a stainless steel top. Farm sink an over supply of beautiful cabinets and built ins. Stainless steel applianc"
"Fantastic opportunity located in the heart of Anna! Wonderful Victorian home with 3 elaborate fireplaces, huge versatile rooms, French doors, bead-board trim & stairway finial in the entry, tons of windows and lots of character! Hardwood flooring (appears some are original) & tile flooring. Two huge skylights in the kitchen with extensive cabinets, counters space & convection oven. Covered porch to entry and huge covered porch on one side and surrounded by trees! This property may be your dream"
"William Anthony Custom home...incomplete construction. Interior pictures are of 1473 CR 1106 and will be similar to interior of this home. See uploaded docs for additional details. No city taxes or HOA, Horses permitted. All lots in Summer Lake Estates must be pre-qualified with Capacity Lending. If Capacity is chosen as lender, then WAH will pay title fee at closing. Estimated completion date is mid June 2019." "3000+ sq ft 2 story home in Pecan Hollow. This house has it all. Tall ceilings, kitchen as command central for the GREAT great room. Views of your own park back yard from the great room. Huge patio for entertaining or just enjoying a beautiful day. The second story is one giant area. Playroom, sewing room, home theater, Divide it up and create separate rooms. How about a 3200 sq ft fully foam insulated building with 12 x 14 overhead door and an 8 x 7 overhead door also. 1600 sq ft is ful"
"MLS# 13907191 - Built by Windsor Homes - Ready now ~ Available Now! OUTSTANDING 3714 SF 1-Story Home on 100 x 150 Lot backing to a Green Belt. Brick and Stone Exterior 21 x 35 Ft. 3-CAR GARAGE. 10 and 12 Ft. Ceilings With 8 Ft. Tall Interior Doors. 4-Bedrooms, 3-Full Bathrooms, Study, Media Room, Dining Room, Gourmet Kitchen, with Gas Cook Top, Commercial Style Vent Hood, Double Ovens, Microwave, Dishwasher. Under-Counter Lights, Breakfast Area with Double Boxed Windows, Large Island and Seating"
"Easy Hwy Access located in a desirable area just off Hwy 75. 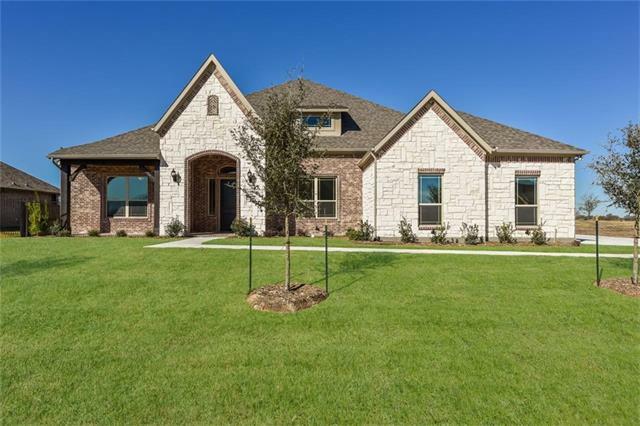 Gorgeous new custom home with stone and brick exterior on 1.5 acres. 4th bedroom cb office with half bath across the hallway. Open floor plan with a large kitchen that overlooks the living room. 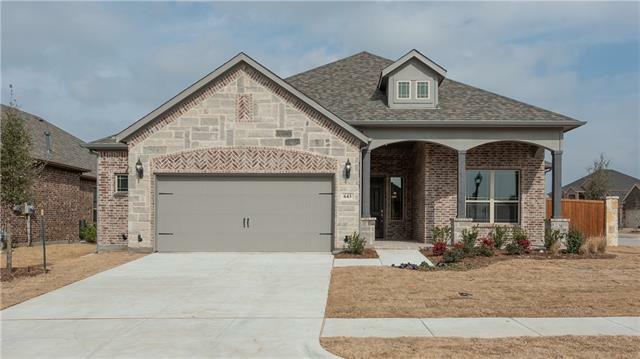 Kitchen and baths have granite countertops, Kitchen has pantry, island and custom oak cabinets. Huge laundry room. Master has unique double vanity sinks, jetted garden tub and separate shower with a large walk in closet. 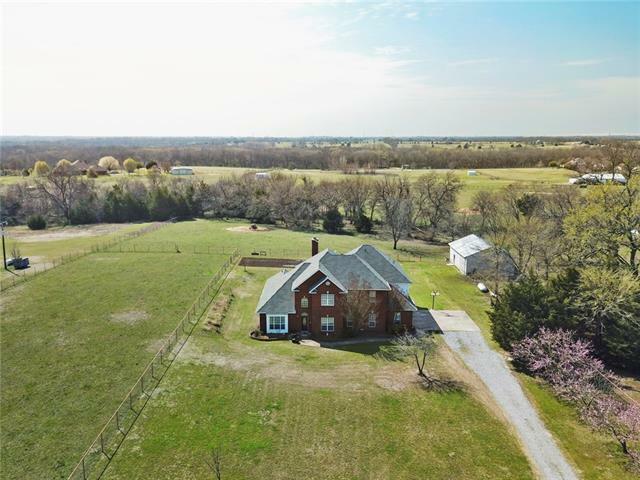 Living and nook have"
"Fabulous horse property on 6 acres with a scenic back patio view, insulated 4 stall barn, concrete floors, tack room, vet racks inside & outside, water & electric. 2nd barn has 4 stalls, 3 loafing sheds. Majority of property has perimeter pipe fence with cross pipe fencing. Three seperate pastures see aerail photo. This 3-2-2 home has just been painted inside & outside, carpet replaced & move-in ready. Offers an open concept, formal dining, large family room, generous natural lightning, vaulted "
"LENNAR, It s like having two homes in one! 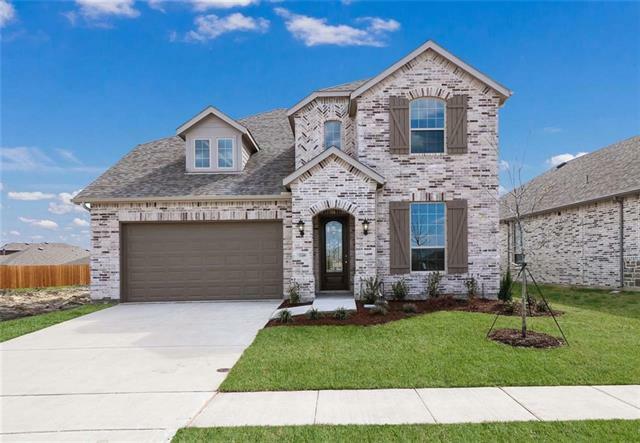 The Live Oak floor plan allows for multi generation living under one roof. The main home features a spacious kitchen, GE SS appliances including gas cook top with built in oven. SS refrigerator & full size WD included! Kitchen opens to family room & the owner's suite is tucked in the back of the home. Upstairs there are 2.5 baths, game room, and media room. The Next Gen private suite includes a BR and full bath, LR, kitchenette. Refridgerator and WD"
"This gem is located in the the highly sought after community of Anna Town Square. 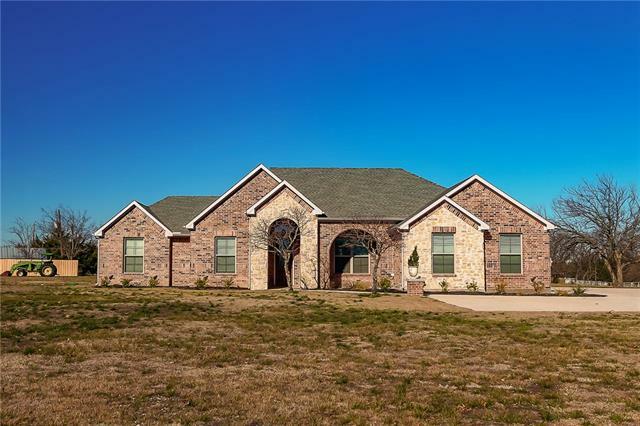 Beautiful Brick and Stone 2-Story home with a 3 car garage. Gourmet Kitchen with Double Island, Granite Tops and Decorator Tile Backsplash, Stainless Steel Gas Cooktop, Commercial Style Vent Hood, Double Ovens, Microwave, Dishwasher. 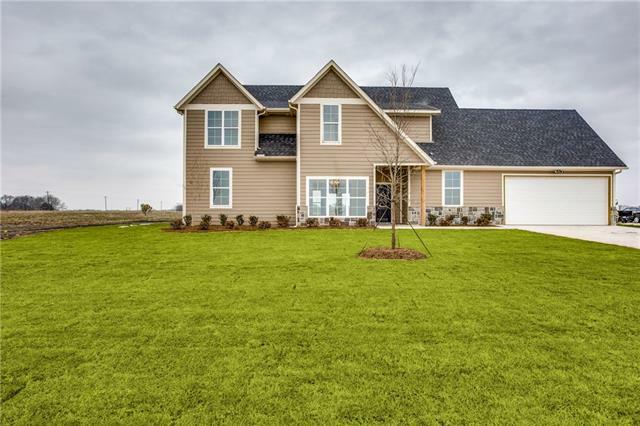 Custom Hand Scraped Hardwood Floors, Family Room With Gas Fireplace and Logs, Oversized Utility Room, Master Bath with Garden Tub and Separate Shower with Bench Seat. 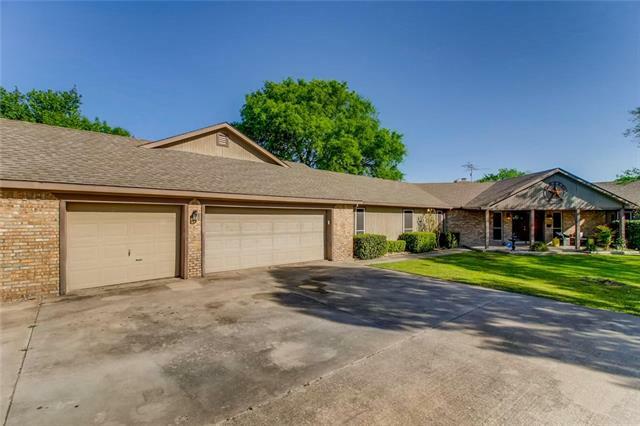 Zoned High Effici"
"Absolutely gorgeous 1 story ranch home with 3 large bedrooms and 2.5 baths. Very large master bedroom with attached master bathroom that boasts 2 walk-in closets and soaking tub with separate shower. Great floor plan, master on one side and secondary bedrooms on the other side of home. Great home office along with 3 living areas. Formal dining area. 2 beautiful fireplaces. Very large eat-in kitchen with amazing storage and walk-in pantry, great for entertaining. 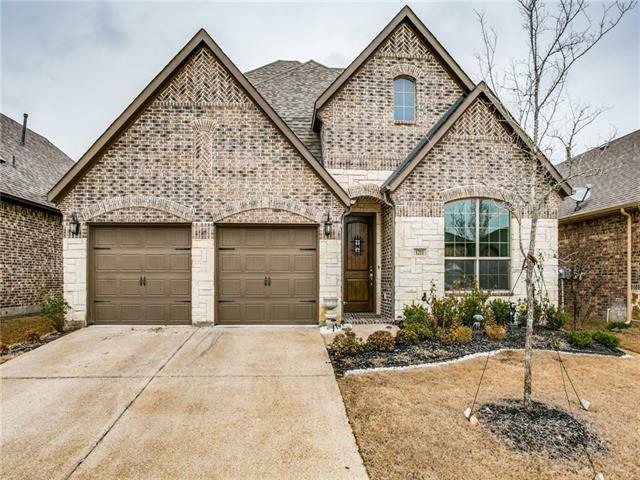 Over-sized garage with tons o"
"MLS# 13950652 - Built by Windsor Homes - Ready now ~ Beautiful Brick and Stone 1-Story Home, on Corner Lot, Large Front Porch, Covered Patio. 10-12 Ft. Ceilings, 8 Ft. Tall Doors. 3-Bedroom, 2-Bath, 11x22 Study, Family Room, Kitchen and Nook with Boxed Windows, Custom Cabinets, Gas Cook Top, Commercial Style Vent Hood, Double Ovens, Microwave and Dishwasher. Under Counter and Pendant Lights, Beautiful Wood Floors, Master Bath with Bench Seat Shower and Garden Tub. WOW, WOW, WOW Master Suit and C"
"MLS# 13989533 - Built by Highland Homes - Ready Now! ~ Spacious two story home with an open concept layout. The family room has soaring ceilings and a beautiful stone fireplace. The open kitchen features stained cabinets, granite counters, and built-in stainless steel appliances. Master suite and secondary bedroom downstairs. A loft, entertainment room, two bedrooms and two bathrooms upstairs." "MLS# 13926146 - Built by Windsor Homes - Ready now ~ CELEBRATE CHRISTMAS IN OCTOBER! Receive 10,000 Dollar DISCOUNT, WASHER-DRYER and REFRIGERATOR and 2 INCH WHITE PVC BLINDS when you close before Christmas 2018. Beautiful 1-Story Home, Large Front Porch, Covered Patio. 10-12 Ft. Ceilings, 8 Ft. Tall Doors. 3-Bedroom, 2-Bath, 11x22 Study, Family Room, Kitchen and Nook with Boxed Windows, Custom Cabinets, Gas Cook Top, Commercial Style Vent Hood, Double Ovens, Microwave and Dishwasher. Under Coun"
"You will feel right at home when you step into this beautifully appointed home with great finish out. 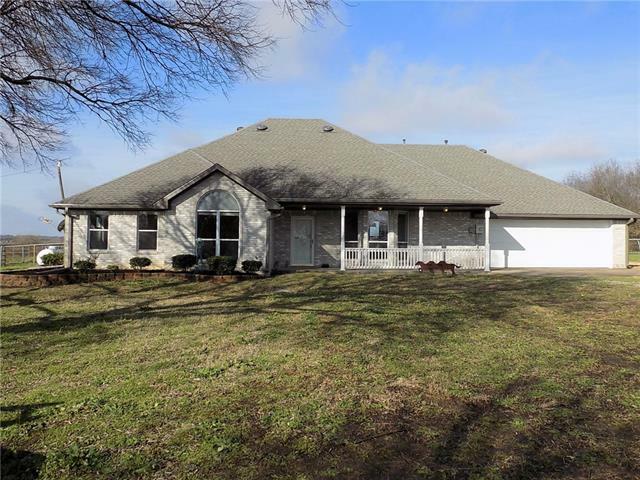 Located on over an acre this 4 bedroom, 2.5 bath home with home office and bonus room has room to accommodate the entire family. The open floorplan with large family room feature wood floors in entry, master bedroom and living. The kitchen features stainless appliances, real wood cabinets, granite countertops and 24x12 tile. The bathrooms feature 24x12 title, real wood cabinets and granite c"
"WHY WAIT 9 MONTHS TO BUILD in the desirable 600 ac mstr planned community of Anna Town Square? Immaculate Megatel Home is MOVE IN READY! Completed 02.18, priced 1000s below new! Sleek upgrades throughout. Open, light and bright flrplan makes for great entertaining, w~cvrd patio overlooking spacious backyrd. Ktchn feat beautiful oversized countertop, upscale gas cooktop, ss appliances and granite. Designer tile in ktchn, bthrm and wet areas. Dwnstairs Mstr Suite, mstr bath w~garden tub, sep showe"
"Popular and HIGHLY UPGRADED Megatel Melrose II Floorplan - 3 bed AND 3 FULL bath! One of the best OVERSIZED LOTs in the neighborhood. MASTER BEDROOM EXTENSION with large, walk-in master closet. 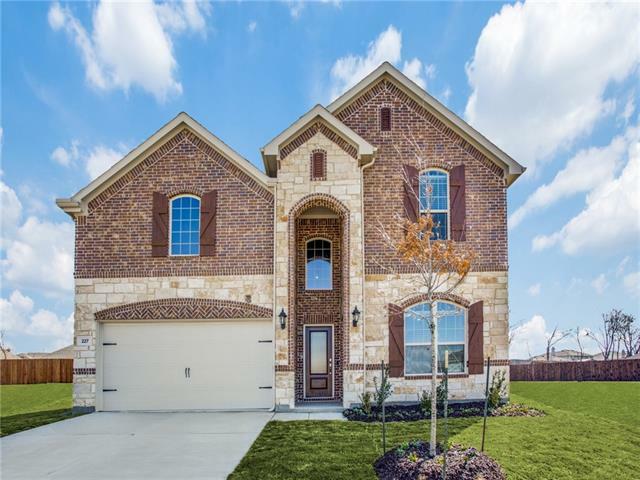 Gourmet kitchen with double wall oven, coffered ceilings, master shower body sprays and rainhead shower, jetted tub, custom blinds throughout, porcelain tile, under cabinet lighting, 8' custom front door, keyless entry, granite and accent tile throughout, and more! OVERSIZED GARAGE! RING DOORBELL AND CAM"